If you're new to Thailand then you probably don't know too much about overstaying your visa. If you've made a few trips back-and-forth already, you may have heard the term but probably aren't au fait with the rules. Either way, it's something every visitor and expat should familiarise themselves with. So in this post I give you a full breakdown of the rules, plus some advice on how to avoid the hassle of overstaying your visa. Overstay refers to staying in Thailand beyond the period for which you are permitted. An example of overstay would be to stay more than 30 days, if you have been given a 30-day exemption stamp. Another example would be to stay more than 60 days on a single entry tourist visa, or more than 90 days on a single entry Non Immigrant O Visa. It is illegal to overstay your visa in Thailand, but overstaying by a small number of days does not carry a serious penalty. However, overstaying for a long period of time could land you in a lot of trouble. Indeed, if you are on overstay and you are apprehended by immigration police, the consequences are far worse. What Are the Current Overstay Rules? How Much Is the Overstay Fine? The fine depends on the number of days you have overstayed. The minimum charge is 500 Baht per day. This goes up to a maximum of 20,000 Baht for overstays of 40 days or longer. What If I Am Arrested by Immigration for Overstaying? Where Is the Immigration Detention Center? The IDC is located at the Immigration Office on Soi Suanplu, Bangkok. If you get arrested you will be held there while you await a court date. If you are to be deported, you'll be held here too until you take your flight home. Note that the IDC is generally somewhere a serious overstayer will be taken; we're talking months not days. Will I Be Banned from Thailand If I Overstay by a Few Days? No. You can pay a fine and you will not receive a black mark against you. There are foreigners who pay overstay fines every day. It is easiest to pay your fine on the way out of Thailand at the airport. However, the legal line is that any person who realises they are on overstay should immediately go to an immigration office and pay the fine. You may have noticed that there is an overstay booth located on the other side of passport control – at the major airports. It is here you can pay your overstay fine. Overstay is very common, at least by one or two days. Often people have good reason to stay another day or two and therefore it isn't practical to spend a day at immigration extending a visa. So it's just easier to pay 500 Baht per day at the airport overstay counter. Let's say you overstay by 4 days: you'll pay 4 days x 500 Baht = 2000 Baht. However, you should not make a habit of this. It is perfectly reasonable to overstay your visa by a day or two if you have misplaced your passport, or you are suffering from illness and cannot fly. That said, excuses such as the fact that you wanted to spend an extra couple of days with your girlfriend, or needed to do some more shopping, are not valid. If you are a regular visitor to Thailand, endeavour to keep your immigration history as clean as possible. What If I Overstay More Than Once? One or two times isn't going to be an issue, particularly if it is just one, two or three days. But continuous violation of this immigration law could become a problem for you. Your passport could be marked with a stamp declaring you in violation of immigration law. This stamp will label you as an “undesirable alien”. This could make travel to Thailand, and obtaining visas for other countries, more difficult. We all hate having too many rules, especially when it interferes with our holiday. But in the case of overstay, it is best to stay on the right side of the law. What If I Overstay by a Few Hours, Will I Be Fined? Probably not. Immigration understands that some people have their flights cancelled or delayed, or that they might get stuck in traffic, be late to the airport and miss their flight. There are clearly circumstances beyond your control that may cause you to overstay. In these circumstances, there generally won't be any problem. Can Children Be Fined for Overstay? Children under the age of 15 are not charged a fine for overstaying but still get overstay stamps when they leave the country. However, note that being exempt from the fine does not make them exempt from needing a valid visa entry or extension to stay in the country. The easiest way to avoid overstay is to simply organise yourself efficiently. Plan your trip so that you have a visa that covers the amount of time you want to stay in Thailand. Rather than think; “If I need more time I will just do a visa run”, simply apply for a single or multiple entry tourist visa before you leave your home country that gives you more than enough time than you need in the kingdom. If you think you might need more than the 30 or 15 days you get on arrival (depending on which country you are from), make sure you get the right visa before you arrive. Also remember that you can always extend your stay in the kingdom by visiting an immigration office. So if you are three quarters of the way through your holiday and think you might want to stay longer, take the afternoon out and go to immigration to extend your visa. The overstay rules in Thailand are stricter than they used to be, but they are still pretty reasonable – especially considering how people have abused the system over the years. Simply being able to pay 500 Baht per day for a couple of extra days in Thailand is not a big expense, and it is reassuring to know that if you do come down with a bout of traveller's tummy you have a little extra time to recover before your flight. 30 days is 4th April. The other stamp may have been a mistake. You need to go today. If not, go tomorrow and say you thought it was the 6th because that's what the stamp says. You might get a pass. I have accidently overstayed 30 days in Thailand. This was genuine confusion after people in the queue were surprised they had 3 months instead of the usual 2. I got my passport and indeed it had until march 18th. I didn't pay attention to the stamps however, just thought they would tally with the visa. To my horrror, as I was about to go to immigration to extend, I saw the stamps and got a sinking feeling. Realised that the 18th march date was just the visa validity length and not my allowed stay in thailand. I'm not sure what to do as Kuala Lumpur apparently dont like to see multiple tourist visas in passports. I'll have to flu out and pay a hefty fine - but can I just re-enter on 30 days visa exemption? Explain your mistake, pay the fine, re-enter on a 30-day tourist stamp. Me and my wife (both Indian nationals of 65 and 63 years of age) came here on 13th night. We checked at 2300 Hrs and was given visa on arrival for 15 days. Our return flight is on 28th March, early morning. We requested Immigeration officer for allowing us either staming our passports after 1 hour on 14th March or give us 16 days visa. He seems to be very angry with the whole world and shouting at everyone. He did not agree to our genuine request. I do. It know why such a officer is given the duty at the counter, who cannot even smile or return your good evening message.Are we supposed to pay a fine of 500 Bhts on 28th morning before standing in the long line at the immigeratiom counter or first trying our luck at immigeratiom and if the authorities ask us to pay, then pay and this delay thr flight. The officer can't give you 16 days because there isn't a 16 day stamp. It's unfortunate that you arrived an hour before and will overstay by a day. You can try and leave as normal but most likely they will charge you 1-day overstay. Don't stress, try and enjoy your holiday. To clarify: you were on a retirement visa (extension), which was valid at the time you left Thailand, then you left for a week, came back in and was banned for a year? Or do you mean you came back in and didn't realize your retirement visa had been cancelled and actually you were on an exemption stamp for 30 days?Unfortunately the onus is on you to know the rules. You can appeal but it will be a costly process and difficult to do from outside Thailand.How long did you overstay? I read on my visa stick in page that I could stay until 26/2/19 but it’s actually 26/1/19. Will I be banned? !Going to immigration office tomorrow, hopefully I can explain to them. You mean they stamped the wrong date? Hmm, tricky one, because it may say the proper date on the system, so when you go to leave it will trigger overstay. But it's their error. I reckon it's worth going to immigration and getting it cleared up. 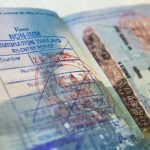 If I have a 6 month, multi entry Visa and overstay my 60 day window (still must leave every 60days) by a day or two, would that invalidate the remainder of my 6 month multi entry Visa? If you overstay an entry stamp without first extending it, the fine is 500 THB per day for a maximum fine of 20,000 THB (40 days) and you will no longer be eligible to extend that particular entry. My year ban is finished. Can i now reenter thailand? Technically, yes. However, border officials still have the right to refuse people on entry. This is the same for most countries. Good morning, for many personnal reasons, my overstay is almost four years. Now i have ticket plane to come back in my country and 20000 baths for emigration office at the airport, can i go without trouble or i have to pay more ? Thank's for answer and best regard. Wow. You will be banned for 5 years. You will have to pay 20,000 Baht. And there is a risk that you will be detained for a period of time. Good luck! Thank's for this answer, but if i have ticket plane already, they can arest me some day ? They could if they wanted to, but I have no idea if they will. Usually people are only arrested in they get caught, but you will be voluntarily leaving and offering to pay a fine, so maybe you will be okay. I look forward to your update. Good luck! Thanks for reporting back. Did you pay at the airport or at the immigration office? Yes, we check in the airline, then the customs passage they take us to the immigration just behind, we pay and they make the ban notice. That's all,friendly. I will really be happy if you reply me. Is the most difficult time for me. I came to Thailand in 2015 overstayed my visa till date wish to go back, passport has also expire. What can I do and how to do it. Did you get a ban? If you only got an overstay fine you will be able to go back, no problem. If you got banned then you will have to wait out your ban. You should also contact immigration and let them know the situation. After that, you would have to contact your embassy for help, because essentially you are stranded. Once the 6-month ban is up you'll be good to come back in. Did they stamp your passport with the ban? If so, maybe apply for a new one so the immigration officer doesn't see that when you come back in. Next time get a tourist visa; it's easier. Hi thank you for the details information re Thailand visa. My son is 1 year old and only get a tourist visa when we entered Thailand. My wife and I work in Bangkok, and is the child under 15 year age are not charged any fine for overstaying? I'm is this still valid until today? 2018? I have read from few forums and websites but never find any information from a goverment site etc, so I'm still worry we have to pay a lot of money when we leave Thailand for holiday. Hi Kevin,Children under the age of 15 are not charged a fine for overstaying but still get overstay stamps when they leave the country; because like everyone else children need a valid visa entry or extension to stay in the country. Why did you do this a second time? If you go to the airport they may detain you. Take the risk and hope they let you pay the fine and leave. Perhaps this is a separate topic unto itself. But there seems to be lots of discussion these days on expats needing to fill out the TM30 form,Personally, never filled one out and never been asked in all my years of going back and forth to Thailand. I doubt my Thai family would even know about this. Chief of police in my village is a family friend, but this doesn't necessarily mean I wouldn't be fined one day.Any thoughts on this? The law states that all properties that have non-Thai nationals living on their premises must register them with the immigration department. The owner of the property can do this online or in person. Once you leave the country it will expire, so when you re-enter and stay with the person again it must be done again.Most likely you could go 100 years without doing it and no issue, but for the sake of compliance I'd just get it done.